PANAMA: Judge Claims Trump Lawyers Threatened Her - Joe.My.God. Lawyers for President Donald Trump’s family hotel business threatened a Panamanian judicial official handling a dispute related to Trump Hotels’ management of a 70-story luxury hotel, according to a complaint filed with the anti-corruption division of Panama’s chief prosecutor. The complaint reviewed by The Associated Press said lawyers from the firm representing Trump’s hotel management business accosted a justice of the peace, Marisol Carrera, in her office after she ruled against Trump’s business on a minor issue in the fight over control of the Trump-branded luxury hotel. The abuse continued, she wrote, even after she called police to defuse the situation. Trump’s lawyers dispute the claims, and the magistrate declined to discuss the matter with the AP. The episode marks another odd turn in the feud over the Trump International Hotel on Panama City’s waterfront. 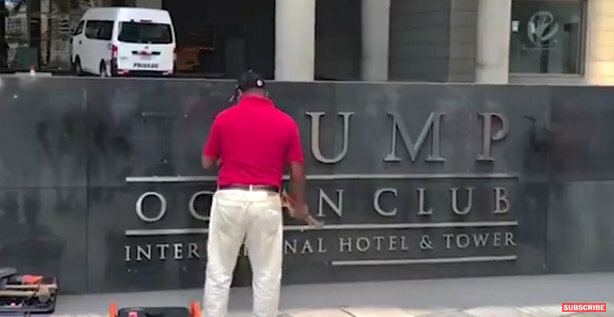 Trump’s team was eventually evicted from the hotel, which was stripped of his name and reopened under new management. But the battle continues in court.